Follow former Milwaukee Road 4-8-4 No. 261 as it pulls employee and public trips on the Red River Valley & Western. 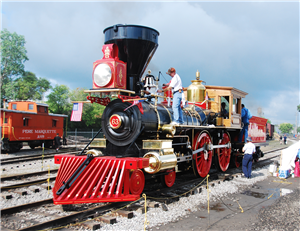 The June 2017 trips commemorate the North Dakota regional railroad's 30th anniversary.